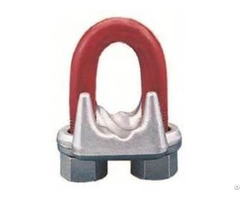 MCkissick US 422 Basket is cast steel and individually magnetic particle inspected. 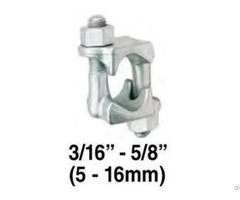 Wedge socket terminations have an efficiency rating of 80% based on the catalog strength of XXIP wire rope. Wedges are color coded for easy identification. Blue - largest wire line size for socket. Orange - smallest wire line size for socket. Cast into each socket is the name “McKissick”, “Crosby” or “CG”, its model number and its wire line range. By simply changing out the wedge, each socket can be utilized for various wire line sizes (Ensure correct wedge is used for wire rope size). Cast into each wedge is the model number of the socket and the wire line size for which the wedge is to be used. Load pin is forged and headed on one end. 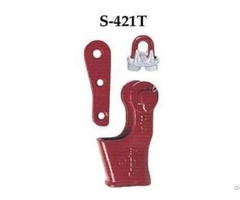 MCkissick US 422T wedge sockets contain a hammer pad (lip) to assist in proper securement of termination. Meets or exceeds all requirements of ASME B30.26 including identification, ductility, design factor, proof load and temperature requirements. Importantly, these sockets meet other critical performance requirements including fatigue life, impact properties and material traceability, not addressed by ASME B30.26. 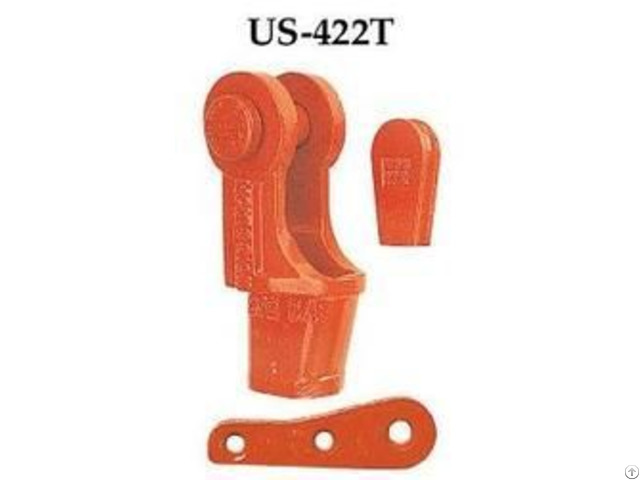 MCkissick UWO 422T Wedges are to be used only with the US-422T Wedge Socket Assemblies.